Help to take our first one-man show to the Edinburgh Fringe Festival! 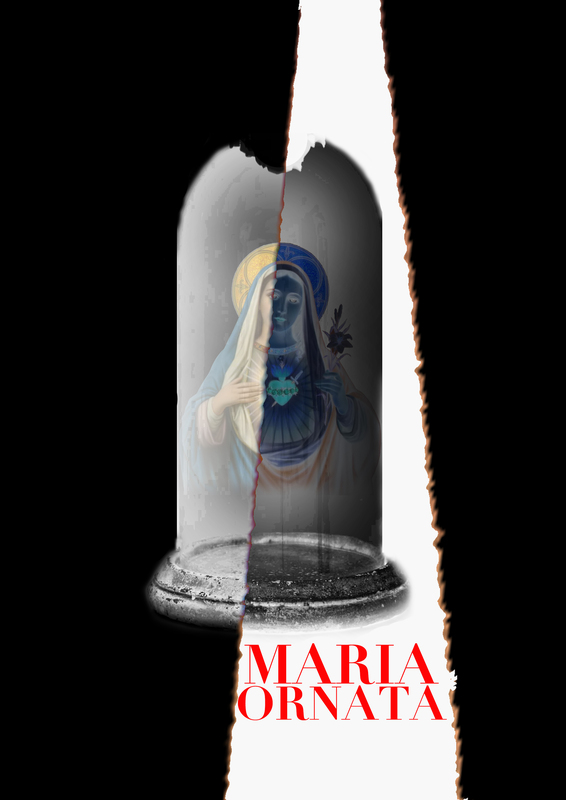 Maria Ornata is the first production by Bewilderness Theatre Company . We want to take this newly-written one-man show to the Edinburgh Fringe Festival 2017 . Please help us to get to Scotland! A crisis has taken hold of the Heavens! For centuries and centuries, gods, saints and spirits have ruled the world, but in the modern world their influence has plummeted. All eyes are on the Virgin Mary , Queen of the Heavens, to restore the old order. A supernatural narrator tells an unimaginable tale of divinity overturned, the collapse of something eternal, and the ultimate fracturing of reality itself. Sounds spectacular. But Who are you? Bewilderness Theatre Company are Alex Romberg, Dieter Brusselaers and Daniela Atiencia - all (former) students from East 15 Acting School. With our American director (Alex), Belgian actor/playwright (Dieter) and Colombian/Canadian assistant director (Daniela), we can pride ourselves on a very international team - and you can rest assured that we pull out all the stops to provide you with a truly mind-boggling storytelling experience! Why should I support this show? Maria Ornata is not only a show that will be nourished by the talent and devotion of driven young artists from East 15 Acting School , but is looking towards a strong, internationally oriented development . The script is new writing, but draws on Seventeenth-Century Dutch source material, and will be completed at Can Serrat International Art Residency in Spain. 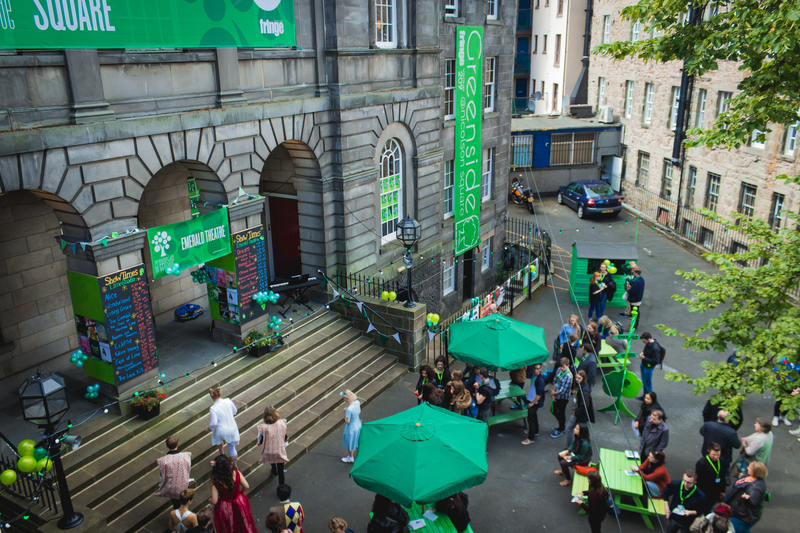 Our production at EdFringe would not only enrich the world with a very memorable performance, but would also be a fantastic kickstart to our professional careers and a once-in-a-lifetime experience . In this initial fundraising campaign we aim to obtain enough money to cover the most essential costs for our Fringe participation: the venue hire and part of the marketing costs. We will play at the Ivy Studio at the Greenside Venues , and we will need all of the marketing resources we can, as Edinburgh is the largest Arts Festival in the world! Our minimum of £2,163 will cover our Greenside venue hire fee. If we reach our target goal of £3,565 , we will be able to cover the rest of our venue hire, flyer design and printing costs. We will use any extra money to contribute towards production costs, further marketing, or travel costs to Edinburgh! If we succeed in producing Maria Ornata, it will be because of your support. Not just because you may have given us money, but also because you helped make this show the best it can be! Sound out on Facebook or on Twitter with #MariaOrnata, share our posts wherever you can, e-mail your friends about it, or just talk your neighbor's ear off about this great new show that is coming to Edinburgh this summer. We are very grateful for your support - and we hope to see you in Scotland! We are offering some fun rewards, which you read about in more detail on to the right! We also are having a Prize Drawing Week. Any donations offered between 19-25 April will enter you in a drawing to win a Special Prize Pack ! SOCIAL MEDIA SHOUTOUT-- Thank you for your donation! You will receive a shout out on social media!